Get the right outlook on the market before placing a single trade. Get instant access to 10 unique studies designed to help you determine market trends with the Trend Outlook library. Studies can be used on their own or in combination as a part of criteria and strategy rules in system development, or simply to serve as an example of how to create your own code. Using the trends in this library will allow you to focus on perfecting your ideas without getting bogged down in the details of defining trends in a manner that a computer can understand. Designed with the sole purpose of showing you how to incorporate and identify many of the most commonly used and looked for market trends, the Trend Outlook library also includes open source code for a closer look at how the formulas associated with each of the studies and functions. In addition to the 10 studies and 22 functions included in the Trend Outlook library, you’ll also have access to a template containing a large collection of indicators and highlight bars/boxes used to highlight trends, giving you all the tools you need to visually identify trends quickly. 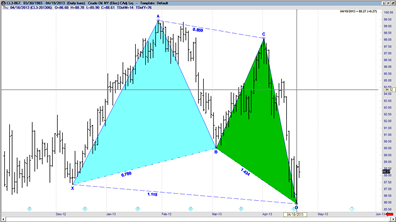 The Trend CCI Study contains both the Trend CCI Long and Trend CCI Short Highlight Zones. This study contains both the Trend Close Relationship Long and the Trend Close Relationship Short Highlight Zones. The Trend High Low study contains both the Trend High Low Long and Trend High low Short Highlight Zones. This study contains both the Trend MA Long and Trend MA Short Highlight Zones. 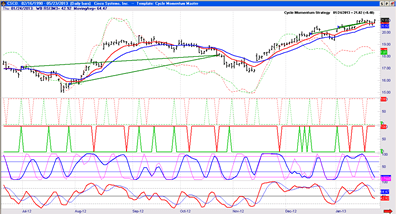 The Trend MACD study contains both the Trend MACD Long and Trend MACD Short Highlight Zones. 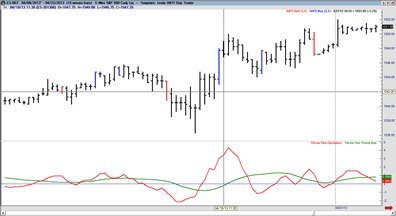 This study contains both the Trend Momentum Long and trend Momentum Short Highlight Zones. The Trend Parabolic study contains both the Trend Parabolic Long and Trend Parabolic Short Highlight Zones. This study contains both the Trend Regression Slope Long and Trend Regression Slope Short Highlight Zones. The Trend Slope OfMA study contains both the Trend SlopeOfMA Long and Trend SlopeOfMA Short Highlight Zones. This study contains both the Trend Volatility Long and Trend Volatility Short Highlight Zones.